When I was in high school and college (watch out, I am dating myself here!) we used to rub various oils onto our skin to encourage a suntan during the summer. That turned out to be really aging and hard on the skin. But we didn’t know that back then. We had bought into the idea that having a nice suntan showed you had lots of time for leisure activities. A couple of decades later the pendulum had swung into the completely opposite direction. The sun became enemy number one as incidences of skin cancer increased. Everyone covered up with sunscreen. More recently, vitamin D deficiencies have become widely identified. Due to long and overcast winters, this would be fairly common in those living in the northern regions of the country, regardless. But deficiencies have also being identified in southern populations. This may be because the vast majority of the population spends so much time working indoors. But we also have to wonder, has sunscreen been doing too good of a job protecting our skin from the sun? What’s vitamin D got to do with it? Producing vitamin D in our bodies is a multi-step process. Cholesterol is a precursor of vitamin D. The sun helps produce a reaction in our skin that stimulates the production of vitamin D3 (cholecalciferol). The liver and kidneys then convert D3 into the active form of vitamin D, calcitriol, which is a hormone-like substance. Vitamin D is a fat-soluble vitamin. One of its main functions is to help the body use calcium, which is really good for your bones. There are other potential causes of vitamin D deficiency besides limited exposure to the sun. Having more melanin reduces the skin’s ability to make vitamin D when exposed to the sun. The liver and kidneys convert vitamin D to its active form, so disorders affecting these organs may also increase the risk of deficiency. Impaired digestion can reduce the amount of vitamin D absorbed through the diet. And being a vegan reduces the amount of vitamin D obtained from foods because dietary cholesterol intake is severely limited. Fatty fish, fish oils such as cod liver oil, and egg yolks are great sources of vitamin D.
Originally vitamin D deficiency was linked to rickets, which is a bone disorder. Osteoporosis is the second most well-known condition associated with low vitamin D. However, cardiovascular disease, some cancers, cognitive issues, neuromuscular problems, inflammatory bowel disease, diabetes, and obesity are all conditions that may benefit from vitamin D supplementation. Often, taking fish oils or a multiple vitamin with the recommended daily allowance of vitamin D may be all that is necessary to augment decreased sun exposure. But it probably won’t be enough supplementation to treat a disease state. Blood testing can provide more specific information about the need for increased vitamin D supplementation. 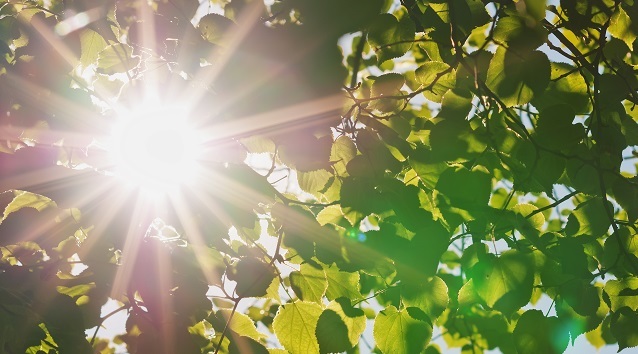 Since vitamin D is so important to our health and since the sun is so crucial in producing vitamin D in the body, it makes sense to take positive, sensible steps to spend time outdoors every day. In a sunny climate, all it may take is walking a short distance from your car to your destination several times a day or spending your coffee break in the park. If you are planning to hang out in the park at high noon, though, it is wise to stay in a shaded area. That’s because the sun is brightest between 10 AM and 2 PM and most likely to cause sunburn. For lengthier durations in the sun for activities such as hiking, biking, running, spending time at the beach, and so on, I recommend using a hat and wearing clothes with a medium SPF. These items are now readily available at sporting goods stores. If you want to use sunscreen, select a product with natural mineral sun protection such as zinc oxide or titanium dioxide. Avoid chemical sunscreens such as oxybenzone and Octinoxate (or Octylmethoxycinnamate), which are toxic. We know a lot more about Vitamin D and sensible sun exposure now than we did just a few decades ago. It is possible to enjoy the sun and stay healthy too. For more information about safe sunscreens, I recommend visiting the Environmental Working Group’s website. They are my favorite source for information about chemical safety in cosmetic products. For EWG’s article on sunscreen safety, click here.